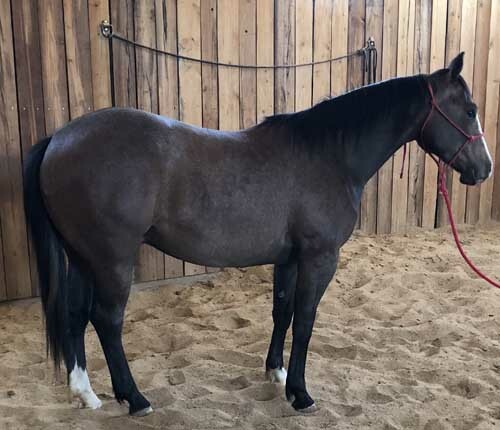 Good looking gray gelding, with a big hip and a kind eye, that has it all in front of him. He is an easy keeper and is gentle on the ground. He is ready to start the way you want. Full sister sells at Hip #45. Halter broke, gentle and sound. AQHA Ranching Heritage and 2019 HPRBA Futurity Eligible.